This article is about the chemical element. For coins known as "nickels" and other uses, see Nickel (disambiguation). Nickel is a chemical element with symbol Ni and atomic number 28. It is a silvery-white lustrous metal with a slight golden tinge. Nickel belongs to the transition metals and is hard and ductile. Pure nickel, powdered to maximize the reactive surface area, shows a significant chemical activity, but larger pieces are slow to react with air under standard conditions because an oxide layer forms on the surface and prevents further corrosion (passivation). Even so, pure native nickel is found in Earth's crust only in tiny amounts, usually in ultramafic rocks,   and in the interiors of larger nickel–iron meteorites that were not exposed to oxygen when outside Earth's atmosphere. 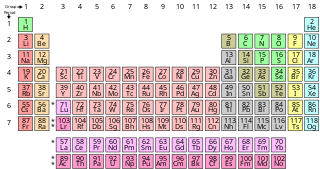 A chemical element is a species of atom having the same number of protons in their atomic nuclei. For example, the atomic number of oxygen is 8, so the element oxygen consists of all atoms which have exactly 8 protons. The atomic number or proton number of a chemical element is the number of protons found in the nucleus of an atom. It is identical to the charge number of the nucleus. The atomic number uniquely identifies a chemical element. In an uncharged atom, the atomic number is also equal to the number of electrons. Iron is a chemical element with symbol Fe and atomic number 26. It is a metal, that belongs to the first transition series and group 8 of the periodic table. It is by mass the most common element on Earth, forming much of Earth's outer and inner core. It is the fourth most common element in the Earth's crust. Supernova nucleosynthesis is a theory of the nucleosynthesis of the natural abundances of the chemical elements in supernova explosions, advanced as the nucleosynthesis of elements from carbon to nickel in massive stars by Fred Hoyle in 1954. In massive stars, the nucleosynthesis by fusion of lighter elements into heavier ones occurs during sequential hydrostatic burning processes called helium burning, carbon burning, oxygen burning, and silicon burning, in which the ashes of one nuclear fuel become, after compressional heating, the fuel for the subsequent burning stage. During hydrostatic burning these fuels synthesize overwhelmingly the alpha-nucleus products. A rapid final explosive burning is caused by the sudden temperature spike owing to passage of the radially moving shock wave that was launched by the gravitational collapse of the core. W. D. Arnett and his Rice University colleagues demonstrated that the final shock burning would synthesize the non-alpha-nucleus isotopes more effectively than hydrostatic burning was able to do, suggesting that the expected shock-wave nucleosynthesis is an essential component of supernova nucleosynthesis. Together, shock-wave nucleosynthesis and hydrostatic-burning processes create most of the isotopes of the elements carbon, oxygen, and elements with Z = 10–28. As a result of the ejection of the newly synthesized isotopes of the chemical elements by supernova explosions their abundances steadily increased within interstellar gas. That increase became evident to astronomers from the initial abundances in newly born stars exceeding those in earlier-born stars. To explain that temporal increase of the natural abundances of the elements was the main goal of stellar nucleosynthesis. Hoyle's paper was the founding paper of that theory; however, ideas about nuclear reactions in stars providing power for the stars is often confused with stellar nucleosynthesis. Realize that nuclear fusion in stars can occur with negligible impact on the abundances of the chemical elements. Use of nickel (as a natural meteoric nickel–iron alloy) has been traced as far back as 3500 BCE. Nickel was first isolated and classified as a chemical element in 1751 by Axel Fredrik Cronstedt, who initially mistook the ore for a copper mineral, in the cobalt mines of Los, Hälsingland, Sweden. The element's name comes from a mischievous sprite of German miner mythology, Nickel (similar to Old Nick), who personified the fact that copper-nickel ores resisted refinement into copper. An economically important source of nickel is the iron ore limonite, which often contains 1–2% nickel. Nickel's other important ore minerals include pentlandite and a mixture of Ni-rich natural silicates known as garnierite. Major production sites include the Sudbury region in Canada (which is thought to be of meteoric origin), New Caledonia in the Pacific, and Norilsk in Russia. Meteoric iron, sometimes meteoritic iron, is a native metal found in meteorites and made from the elements iron and nickel mainly in the form of the mineral phases kamacite and taenite. 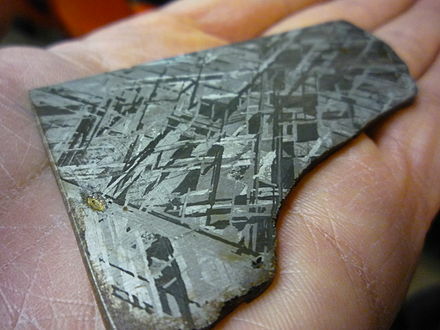 Meteoric iron makes up the bulk of iron meteorites but is also found in other meteorites. Apart from minor amounts of telluric iron, meteoric iron is the only naturally occurring native metal of the element iron on the Earth's surface. Baron Axel Fredrik Cronstedt was a Swedish mineralogist and chemist who discovered nickel in 1751 as a mining expert with the Bureau of Mines. He found the mineral, which Cronstedt described as kupfernickel, in the cobalt mines of Los, Hälsingland, Sweden. This name arises because the ore has a similar appearance to copper (kupfer) and a mischievous sprite (nickel) was supposed by miners to be the cause of their failure to extract copper from it. Cronstedt named it nickel in 1754. He was a pupil of Georg Brandt, the discoverer of cobalt. Cronstedt is one of the founders of modern mineralogy and is described as the founder by John Griffin in his 1827 A Practical Treatise on the Use of the Blowpipe. He remains to this day to be an outstanding idol for young swedes. An ore is a natural occurrence of rock or sediment that contains sufficient minerals with economically important elements, typically metals, that can be economically extracted from the deposit. The ores are extracted at a profit from the earth through mining; they are then refined to extract the valuable element, or elements. Nickel is slowly oxidized by air at room temperature and is considered corrosion-resistant. Historically, it has been used for plating iron and brass, coating chemistry equipment, and manufacturing certain alloys that retain a high silvery polish, such as German silver. About 9% of world nickel production is still used for corrosion-resistant nickel plating. Nickel-plated objects sometimes provoke nickel allergy. Nickel has been widely used in coins, though its rising price has led to some replacement with cheaper metals in recent years. Brass is an alloy of copper and zinc, in proportions which can be varied to achieve varying mechanical and electrical properties. It is a substitutional alloy: atoms of the two constituents may replace each other within the same crystal structure. Bronze is an alloy also containing copper, but instead of zinc it has tin. An alloy is a combination of metals and of a metal or another element. Alloys are defined by a metallic bonding character. An alloy may be a solid solution of metal elements or a mixture of metallic phases. Intermetallic compounds are alloys with a defined stoichiometry and crystal structure. Zintl phases are also sometimes considered alloys depending on bond types. Nickel silver, Maillechort, German silver, Argentan, new silver, nickel brass, albata, alpacca, is a copper alloy with nickel and often zinc. The usual formulation is 60% copper, 20% nickel and 20% zinc. Nickel silver is named due to its silvery appearance, but it contains no elemental silver unless plated. The name "German silver" refers to its development by 19th-century German metalworkers from the Chinese alloy known as paktong (白銅) (cupronickel). All modern, commercially important nickel silvers contain significant amounts of zinc, and are sometimes considered a subset of brass. Nickel is one of four elements (the others are iron, cobalt, and gadolinium)  that are ferromagnetic at approximately room temperature. Alnico permanent magnets based partly on nickel are of intermediate strength between iron-based permanent magnets and rare-earth magnets. The metal is valuable in modern times chiefly in alloys; about 68% of world production is used in stainless steel. A further 10% is used for nickel-based and copper-based alloys, 7% for alloy steels, 3% in foundries, 9% in plating and 4% in other applications, including the fast-growing battery sector. As a compound, nickel has a number of niche chemical manufacturing uses, such as a catalyst for hydrogenation, cathodes for batteries, pigments and metal surface treatments. Nickel is an essential nutrient for some microorganisms and plants that have enzymes with nickel as an active site. Gadolinium is a chemical element with symbol Gd and atomic number 64. 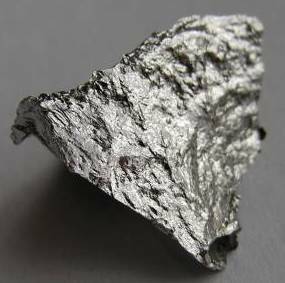 Gadolinium is silvery-white metal when oxidation is removed. It is only slightly malleable and is a ductile rare-earth metal. Gadolinium reacts with atmospheric oxygen or moisture slowly to form a black coating. Gadolinium below its Curie point of 20 °C (68 °F) is ferromagnetic, with an attraction to a magnetic field higher than that of Nickel. Above this temperature it is the most paramagnetic element. It is found in nature only in an oxidized form. When separated, it usually has impurities of the other rare-earths because of their similar chemical properties. Alnico is a family of iron alloys which in addition to iron are composed primarily of aluminium (Al), nickel (Ni) and cobalt (Co), hence acronym al-ni-co. They also include copper, and sometimes titanium. Alnico alloys are ferromagnetic, and are used to make permanent magnets. 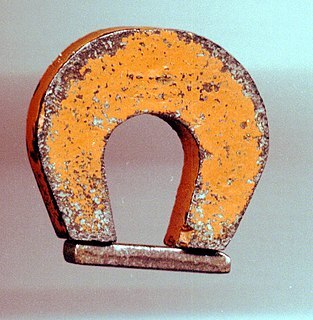 Before the development of rare-earth magnets in the 1970s, they were the strongest type of permanent magnet. Other trade names for alloys in this family are: Alni, Alcomax, Hycomax, Columax, and Ticonal. In physics and materials science, the Curie temperature (TC), or Curie point, is the temperature above which certain materials lose their permanent magnetic properties, to be replaced by induced magnetism. The Curie temperature is named after Pierre Curie, who showed that magnetism was lost at a critical temperature. In crystallography, the cubiccrystal system is a crystal system where the unit cell is in the shape of a cube. This is one of the most common and simplest shapes found in crystals and minerals. The atomic radius of a chemical element is a measure of the size of its atoms, usually the mean or typical distance from the center of the nucleus to the boundary of the surrounding shells of electrons. Since the boundary is not a well-defined physical entity, there are various non-equivalent definitions of atomic radius. Three widely used definitions of atomic radius are: Van der Waals radius, ionic radius, and covalent radius. Ni cannot be formed by nuclear fusion without losing energy. 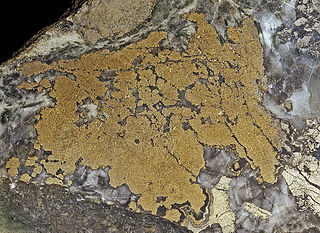 Ni present in extraterrestrial material may provide insight into the origin of the solar system and its early history. On Earth, nickel occurs most often in combination with sulfur and iron in pentlandite, with sulfur in millerite, with arsenic in the mineral nickeline, and with arsenic and sulfur in nickel galena. Nickel is commonly found in iron meteorites as the alloys kamacite and taenite. This behavior is exploited in the Mond process for purifying nickel, as described above. The related nickel(0) complex bis(cyclooctadiene)nickel(0) is a useful catalyst in organonickel chemistry because the cyclooctadiene (or cod) ligands are easily displaced. Crystals of hydrated nickel sulfate. Nickelocene is known; it has an electron count of 20, making it relatively unstable. Aside from the aforementioned Bactrian coins, nickel was not a component of coins until the mid-19th century. 99.9% nickel five-cent coins were struck in Canada (the world's largest nickel producer at the time) during non-war years from 1922–1981; the metal content made these coins magnetic. During the wartime period 1942–45, most or all nickel was removed from Canadian and U.S. coins to save it for manufacturing armor. Canada used 99.9% nickel from 1968 in its higher-value coins until 2000. In the United States, the term "nickel" or "nick" originally applied to the copper-nickel Flying Eagle cent, which replaced copper with 12% nickel 1857–58, then the Indian Head cent of the same alloy from 1859–1864. Still later, in 1865, the term designated the three-cent nickel, with nickel increased to 25%. In 1866, the five-cent shield nickel (25% nickel, 75% copper) appropriated the designation. Along with the alloy proportion, this term has been used to the present in the United States. Nickel ores grade evolution in some leading nickel producing countries. Evolution of the annual nickel extraction, according to ores. Nickel is obtained through extractive metallurgy: it is extracted from the ore by conventional roasting and reduction processes that yield a metal of greater than 75% purity. In many stainless steel applications, 75% pure nickel can be used without further purification, depending on the impurities. Traditionally, most sulfide ores have been processed using pyrometallurgical techniques to produce a matte for further refining. Recent advances in hydrometallurgical techniques resulted in significantly purer metallic nickel product. Most sulfide deposits have traditionally been processed by concentration through a froth flotation process followed by pyrometallurgical extraction. In hydrometallurgical processes, nickel sulfide ores are concentrated with flotation (differential flotation if Ni/Fe ratio is too low) and then smelted. The nickel matte is further processed with the Sherritt-Gordon process. First, copper is removed by adding hydrogen sulfide, leaving a concentrate of cobalt and nickel. Then, solvent extraction is used to separate the cobalt and nickel, with the final nickel content greater than 99%. Electrolytically refined nickel nodule, with green, crystallized nickel-electrolyte salts visible in the pores. A second common refining process is leaching the metal matte into a nickel salt solution, followed by the electro-winning of the nickel from solution by plating it onto a cathode as electrolytic nickel. Highly purified nickel spheres made by the Mond process. The US nickel coin contains 0.04 ounces (1.1 g) of nickel, which at the April 2007 price was worth 6.5 cents, along with 3.75 grams of copper worth about 3 cents, with a total metal value of more than 9 cents. Since the face value of a nickel is 5 cents, this made it an attractive target for melting by people wanting to sell the metals at a profit. However, the United States Mint, in anticipation of this practice, implemented new interim rules on December 14, 2006, subject to public comment for 30 days, which criminalized the melting and export of cents and nickels. Violators can be punished with a fine of up to $10,000 and/or imprisoned for a maximum of five years. Because it is resistant to corrosion, nickel was occasionally used as a substitute for decorative silver. Nickel was also occasionally used in some countries after 1859 as a cheap coinage metal (see above), but in the later years of the 20th century was replaced by cheaper stainless steel (i.e., iron) alloys, except in the United States and Canada. Nickel is an excellent alloying agent for certain precious metals and is used in the fire assay as a collector of platinum group elements (PGE). As such, nickel is capable of fully collecting all six PGE elements from ores, and of partially collecting gold. High-throughput nickel mines may also engage in PGE recovery (primarily platinum and palladium); examples are Norilsk in Russia and the Sudbury Basin in Canada. Nickel and its alloys are frequently used as catalysts for hydrogenation reactions. Raney nickel, a finely divided nickel-aluminium alloy, is one common form, though related catalysts are also used, including Raney-type catalysts. 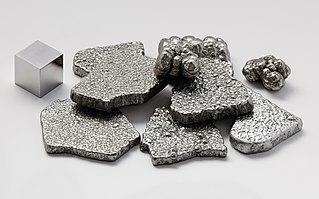 Nickel is a naturally magnetostrictive material, meaning that, in the presence of a magnetic field, the material undergoes a small change in length. The magnetostriction of nickel is on the order of 50 ppm and is negative, indicating that it contracts. The major source of nickel exposure is oral consumption, as nickel is essential to plants. Nickel is found naturally in both food and water, and may be increased by human pollution. For example, nickel-plated faucets may contaminate water and soil; mining and smelting may dump nickel into waste-water; nickel–steel alloy cookware and nickel-pigmented dishes may release nickel into food. The atmosphere may be polluted by nickel ore refining and fossil fuel combustion. Humans may absorb nickel directly from tobacco smoke and skin contact with jewelry, shampoos, detergents, and coins. A less-common form of chronic exposure is through hemodialysis as traces of nickel ions may be absorbed into the plasma from the chelating action of albumin. Cadmium is a chemical element with symbol Cd and atomic number 48. This soft, silvery-white metal is chemically similar to the two other stable metals in group 12, zinc and mercury. Like zinc, it demonstrates oxidation state +2 in most of its compounds, and like mercury, it has a lower melting point than the transition metals in groups 3 through 11. Cadmium and its congeners in group 12 are often not considered transition metals, in that they do not have partly filled d or f electron shells in the elemental or common oxidation states. The average concentration of cadmium in Earth's crust is between 0.1 and 0.5 parts per million (ppm). It was discovered in 1817 simultaneously by Stromeyer and Hermann, both in Germany, as an impurity in zinc carbonate. Compounds of carbon are defined as chemical substances containing carbon. More compounds of carbon exist than any other chemical element except for hydrogen. Organic carbon compounds are far more numerous than inorganic carbon compounds. In general bonds of carbon with other elements are covalent bonds. Carbon is tetravalent but carbon free radicals and carbenes occur as short-lived intermediates. Ions of carbon are carbocations and carbanions are also short-lived. An important carbon property is catenation as the ability to form long carbon chains and rings. Osmium is a chemical element with symbol Os and atomic number 76. 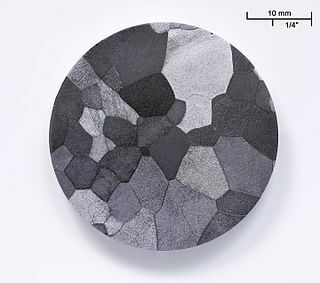 It is a hard, brittle, bluish-white transition metal in the platinum group that is found as a trace element in alloys, mostly in platinum ores. Osmium is the densest naturally occurring element, with an experimentally measured density of 22.59 g/cm3. Manufacturers use its alloys with platinum, iridium, and other platinum-group metals to make fountain pen nib tipping, electrical contacts, and in other applications that require extreme durability and hardness. The element's abundance in the Earth's crust is among the rarest. Vanadium is a chemical element with symbol V and atomic number 23. It is a hard, silvery-grey, ductile, malleable transition metal. The elemental metal is rarely found in nature, but once isolated artificially, the formation of an oxide layer (passivation) somewhat stabilizes the free metal against further oxidation. Copper is a chemical element with symbol Cu and atomic number 29. It is a soft, malleable, and ductile metal with very high thermal and electrical conductivity. A freshly exposed surface of pure copper has a pinkish-orange color. 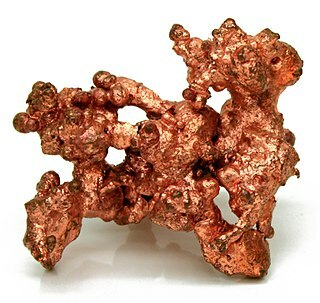 Copper is used as a conductor of heat and electricity, as a building material, and as a constituent of various metal alloys, such as sterling silver used in jewelry, cupronickel used to make marine hardware and coins, and constantan used in strain gauges and thermocouples for temperature measurement. Cupronickel or copper-nickel (CuNi) is an alloy of copper that contains nickel and strengthening elements, such as iron and manganese. The copper contents typically varies from 60 to 90 percent. Nickel carbonyl (IUPAC name: tetracarbonylnickel) is the organonickel compound with the formula Ni(CO)4. This colorless liquid is the principal carbonyl of nickel. It is an intermediate in the Mond process for the purification of nickel and a reagent in organometallic chemistry. Nickel carbonyl is one of the most toxic substances encountered in nickel chemistry. The platinum-group metals are six noble, precious metallic elements clustered together in the periodic table. These elements are all transition metals in the d-block. Group 12, by modern IUPAC numbering, is a group of chemical elements in the periodic table. 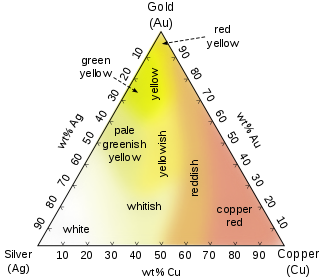 It includes zinc (Zn), cadmium (Cd) and mercury (Hg). The further inclusion of copernicium (Cn) in group 12 is supported by recent experiments on individual copernicium atoms. Formerly this group was named IIB by CAS and old IUPAC system. Nickeline or niccolite is a mineral consisting of nickel arsenide (NiAs) containing 43.9% nickel and 56.1% arsenic. Nickel(II) chloride (or just nickel chloride), is the chemical compound NiCl2. The anhydrous salt is yellow, but the more familiar hydrate NiCl2·6H2O is green. Nickel(II) chloride, in various forms, is the most important source of nickel for chemical synthesis. The nickel chlorides are deliquescent, absorbing moisture from the air to form a solution. Nickel salts have been shown to be carcinogenic to the lungs and nasal passages in cases of long-term inhalation exposure. Metal carbonyls are coordination complexes of transition metals with carbon monoxide ligands. Metal carbonyls are useful in organic synthesis and as catalysts or catalyst precursors in homogeneous catalysis, such as hydroformylation and Reppe chemistry. In the Mond process, nickel tetracarbonyl is used to produce pure nickel. In organometallic chemistry, metal carbonyls serve as precursors for the preparation of other organometalic complexes. Nickel(II) oxide is the chemical compound with the formula NiO. It is notable as being the only well-characterized oxide of nickel. The mineralogical form of NiO, bunsenite, is very rare. It is classified as a basic metal oxide. Several million kilograms are produced in varying quality annually, mainly as an intermediate in the production of nickel alloys. A native metal is any metal that is found pure in its metallic form in nature. Metals that can be found as native deposits singly or in alloys include aluminium, antimony, arsenic, bismuth, cadmium, chromium, cobalt, indium, iron, manganese, molybdenum, nickel, niobium, rhenium, selenium, tantalum, tellurium, tin, titanium, tungsten, vanadium, and zinc, as well as two groups of metals: the gold group, and the platinum group. The gold group consists of gold, copper, lead, aluminium, mercury, and silver. The platinum group consists of platinum, iridium, osmium, palladium, rhodium, and ruthenium. Amongst the alloys found in native state have been brass, bronze, pewter, German silver, osmiridium, electrum, white gold, and silver-mercury and gold-mercury amalgam. Cobalt extraction refers to the techniques used to extract cobalt from its ores and other compound ores. Several methods exist for the separation of cobalt from copper and nickel. They depend on the concentration of cobalt and the exact composition of the used ore. Compounds of nickel are chemical compounds containing the element nickel which is a member of the group 10 of the periodic table. Most compounds in the group have an oxidation state of +2. Nickel is classified as a transition metal with nickel(II) having much chemical behaviour in common with iron(II) and cobalt(II). Many salts of nickel(II) are isomorphous with salts of magnesium due to the ionic radii of the cations being almost the same. Nickel forms many coordination complexes. Nickel tetracarbonyl was the first pure metal carbonyl produced, and is unusual in its volatility. Metalloproteins containing nickel are found in biological systems. ↑ Meija, Juris; et al. (2016). "Atomic weights of the elements 2013 (IUPAC Technical Report)". Pure and Applied Chemistry . 88 (3): 265–91. doi: 10.1515/pac-2015-0305 . ↑ Pfirrmann, Stefan; Limberg, Christian; Herwig, Christian; Stößer, Reinhard; Ziemer, Burkhard (2009). "A Dinuclear Nickel(I) Dinitrogen Complex and its Reduction in Single-Electron Steps". Angewandte Chemie International Edition. 48 (18): 3357. doi:10.1002/anie.200805862. PMID 19322853. ↑ Carnes, Matthew; Buccella, Daniela; Chen, Judy Y.-C.; Ramirez, Arthur P.; Turro, Nicholas J.; Nuckolls, Colin; Steigerwald, Michael (2009). "A Stable Tetraalkyl Complex of Nickel(IV)". Angewandte Chemie International Edition. 48 (2): 3384. doi:10.1002/anie.200804435. PMID 19021174. ↑ Anthony, John W.; Bideaux, Richard A.; Bladh, Kenneth W.; Nichols, Monte C., eds. (1990). "Nickel" (PDF). Handbook of Mineralogy. Vol. I. Chantilly, VA, US: Mineralogical Society of America. ISBN 978-0962209703. ↑ "Nickel: Nickel mineral information and data". Mindat.org. Retrieved 2016-03-02. ↑ Stixrude, Lars; Waserman, Evgeny; Cohen, Ronald (November 1997). "Composition and temperature of Earth's inner core". Journal of Geophysical Research. 102 (B11): 24729–24740. Bibcode:1997JGR...10224729S. doi:10.1029/97JB02125. ↑ Coey, J. M. D.; Skumryev, V.; Gallagher, K. (1999). "Rare-earth metals: Is gadolinium really ferromagnetic?". Nature. 401 (6748): 35–36. Bibcode:1999Natur.401...35C. doi:10.1038/43363. 1 2 3 "Nickel Use In Society". Nickel Institute. ↑ "Nickel Compounds – The Inside Story". Nickel Institute. ↑ Shiozawa, Hidetsugu; Briones-Leon, Antonio; Domanov, Oleg; Zechner, Georg; et al. (2015). "Nickel clusters embedded in carbon nanotubes as high performance magnets". Scientific Reports. 5: 15033. Bibcode:2015NatSR...515033S. doi:10.1038/srep15033. PMC 4602218 . PMID 26459370. ↑ Kittel, Charles (1996). Introduction to Solid State Physics. Wiley. p. 449. ISBN 978-0-471-14286-7. 1 2 Hammond, C.R. ; Lide, C. R. (2018). "The elements". In Rumble, John R. CRC Handbook of Chemistry and Physics (99th ed.). Boca Raton, FL: CRC Press. p. 4.22. ISBN 9781138561632. ↑ Sharma, A.; Hickman, J.; Gazit, N.; Rabkin, E.; Mishin, Y. (2018). "Nickel nanoparticles set a new record of strength". Nature Communications. 9 (1): 4102. doi:10.1038/s41467-018-06575-6. PMC 6173750 . PMID 30291239. 1 2 Scerri, Eric R. (2007). The periodic table: its story and its significance. Oxford University Press. pp. 239–240. ISBN 978-0-19-530573-9. ↑ Miessler, G.L. and Tarr, D.A. (1999) Inorganic Chemistry 2nd ed., Prentice–Hall. p. 38. ISBN 0138418918. ↑ Petrucci, R.H. et al. (2002) General Chemistry 8th ed., Prentice–Hall. p. 950. ISBN 0130143294. 1 2 NIST Atomic Spectrum Database To read the nickel atom levels, type "Ni I" in the Spectrum box and click on Retrieve data. ↑ "The Most Tightly Bound Nuclei" . Retrieved November 19, 2008. 1 2 Fewell, M. P. (1995). "The atomic nuclide with the highest mean binding energy". American Journal of Physics. 63 (7): 653. Bibcode:1995AmJPh..63..653F. doi:10.1119/1.17828. ↑ Pagel, Bernard Ephraim Julius (1997). "Further burning stages: evolution of massive stars". Nucleosynthesis and chemical evolution of galaxies. pp. 154–160. ISBN 978-0-521-55958-4. ↑ Castelvecchi, Davide (April 22, 2005). "Atom Smashers Shed Light on Supernovae, Big Bang" . Retrieved November 19, 2008. ↑ W, P. (October 23, 1999). "Twice-magic metal makes its debut – isotope of nickel". Science News. Archived from the original on May 24, 2012. Retrieved September 29, 2006. ↑ National Pollutant Inventory – Nickel and compounds Fact Sheet. Npi.gov.au. Retrieved on January 9, 2012. 1 2 3 Kuck, Peter H. "Mineral Commodity Summaries 2019: Nickel" (PDF). United States Geological Survey. ↑ Rasmussen, K. L.; Malvin, D. J.; Wasson, J. T. (1988). "Trace element partitioning between taenite and kamacite – Relationship to the cooling rates of iron meteorites". Meteoritics. 23 (2): a107–112. Bibcode:1988Metic..23..107R. doi:10.1111/j.1945-5100.1988.tb00905.x. 1 2 Greenwood, Norman N.; Earnshaw, Alan (1997). Chemistry of the Elements (2nd ed.). Butterworth-Heinemann. ISBN 978-0-08-037941-8. ↑ "The Extraction of Nickel from its Ores by the Mond Process". Nature. 59 (1516): 63–64. 1898. Bibcode:1898Natur..59...63.. doi:10.1038/059063a0. 1 2 Housecroft, C. E.; Sharpe, A. G. (2008). Inorganic Chemistry (3rd ed.). Prentice Hall. p. 729. ISBN 978-0-13-175553-6. ↑ Housecroft, C. E.; Sharpe, A. G. (2012). Inorganic Chemistry (4th ed.). Prentice Hall. p. 764. ISBN 978-0273742753. ↑ Jensen, K. A. (1936). "Zur Stereochemie des koordinativ vierwertigen Nickels". Zeitschrift für Anorganische und Allgemeine Chemie. 229 (3): 265–281. doi:10.1002/zaac.19362290304. ↑ Court, T. L.; Dove, M. F. A. (1973). "Fluorine compounds of nickel(III)". Journal of the Chemical Society, Dalton Transactions (19): 1995. doi:10.1039/DT9730001995. ↑ "Imara Corporation Launches; New Li-ion Battery Technology for High-Power Applications". Green Car Congress. December 18, 2008. ↑ Spokoyny, Alexander M.; Li, Tina C.; Farha, Omar K.; Machan, Charles M.; She, Chunxing; Stern, Charlotte L.; Marks, Tobin J.; Hupp, Joseph T.; Mirkin, Chad A. (28 June 2010). "Electronic Tuning of Nickel-Based Bis(dicarbollide) Redox Shuttles in Dye-Sensitized Solar Cells". Angew. Chem. Int. Ed. 49 (31): 5339–5343. doi:10.1002/anie.201002181. PMID 20586090. ↑ Hawthorne, M. Frederick (1967). "(3)-1,2-Dicarbollyl Complexes of Nickel(III) and Nickel(IV)". Journal of the American Chemical Society. 89 (2): 470–471. doi:10.1021/ja00978a065. ↑ Camasso, N. M.; Sanford, M. S. (2015). "Design, synthesis, and carbon-heteroatom coupling reactions of organometallic nickel(IV) complexes". Science. 347 (6227): 1218–20. Bibcode:2015Sci...347.1218C. doi:10.1126/science.aaa4526. PMID 25766226. ↑ Baucom, E. I.; Drago, R. S. (1971). "Nickel(II) and nickel(IV) complexes of 2,6-diacetylpyridine dioxime". Journal of the American Chemical Society. 93 (24): 6469–6475. doi:10.1021/ja00753a022. ↑ Rosenberg, Samuel J. (1968). Nickel and Its Alloys. National Bureau of Standards. 1 2 McNeil, Ian (1990). "The Emergence of Nickel". An Encyclopaedia of the History of Technology. Taylor & Francis. pp. 96–100. ISBN 978-0-415-01306-2. ↑ Needham, Joseph; Wang, Ling; Lu, Gwei-Djen; Tsien, Tsuen-hsuin; Kuhn, Dieter and Golas, Peter J. (1974) Science and civilisation in China. Cambridge University Press. ISBN 0-521-08571-3, pp. 237–250. ↑ Chambers Twentieth Century Dictionary, p888, W&R Chambers Ltd., 1977. 1 2 Baldwin, W. H. (1931). "The story of Nickel. I. How "Old Nick's" gnomes were outwitted". Journal of Chemical Education. 8 (9): 1749. Bibcode:1931JChEd...8.1749B. doi:10.1021/ed008p1749. ↑ Baldwin, W. H. (1931). "The story of Nickel. II. Nickel comes of age". Journal of Chemical Education. 8 (10): 1954. Bibcode:1931JChEd...8.1954B. doi:10.1021/ed008p1954. ↑ Baldwin, W. H. (1931). "The story of Nickel. III. Ore, matte, and metal". Journal of Chemical Education. 8 (12): 2325. Bibcode:1931JChEd...8.2325B. doi:10.1021/ed008p2325. ↑ Weeks, Mary Elvira (1932). "The discovery of the elements: III. Some eighteenth-century metals". Journal of Chemical Education. 9 (1): 22. Bibcode:1932JChEd...9...22W. doi:10.1021/ed009p22. ↑ "Industrious, enduring–the 5-cent coin". Royal Canadian Mint. 2008. Retrieved January 10, 2009. ↑ Molloy, Bill (November 8, 2001). "Trends of Nickel in Coins – Past, Present and Future". The Nickel Institute. Archived from the original on September 29, 2006. Retrieved November 19, 2008. 1 2 Lacey, Anna (June 22, 2013). "A bad penny? New coins and nickel allergy". BBC Health Check. Retrieved July 25, 2013. ↑ "nikkelen dubbele wapenstuiver Utrecht". nederlandsemunten.nl. ↑ Kelly, T. D.; Matos, G. R. "Nickel Statistics" (PDF). U.S. Geological Survey. Retrieved 2014-08-11. ↑ "Nickel" (PDF). U.S. Geological Survey, Mineral Commodity Summaries. January 2013. ↑ "The Nickel Mountain Project" (PDF). Ore Bin. 15 (10): 59–66. 1953. Archived from the original (PDF) on February 12, 2012. Retrieved May 7, 2015. ↑ "Environment Writer: Nickel". National Safety Council. 2006. Archived from the original on 2006-08-28. Retrieved January 10, 2009. 1 2 "Operations & Development". Lundin Mining Corporation. Archived from the original on November 18, 2015. Retrieved August 10, 2014. ↑ Mond, L.; Langer, K.; Quincke, F. (1890). "Action of carbon monoxide on nickel". Journal of the Chemical Society. 57: 749–753. doi:10.1039/CT8905700749. ↑ Neikov, Oleg D.; Naboychenko, Stanislav; Gopienko, Victor G & Frishberg, Irina V (January 15, 2009). Handbook of Non-Ferrous Metal Powders: Technologies and Applications. Elsevier. pp. 371–. ISBN 978-1-85617-422-0 . Retrieved January 9, 2012. ↑ "LME nickel price graphs". London Metal Exchange. Archived from the original on February 28, 2009. Retrieved June 6, 2009. ↑ "London Metal Exchange". LME.com. ↑ "United States Circulating Coinage Intrinsic Value Table". Coininflation.com. Retrieved September 13, 2013. ↑ American Plumbing Practice: From the Engineering Record (Prior to 1887 the Sanitary Engineer.) A Selected Reprint of Articles Describing Notable Plumbing Installations in the United States, and Questions and Answers on Problems Arising in Plumbing and House Draining. With Five Hundred and Thirty-six Illustrations. Engineering record. 1896. p. 119. ↑ Davis, Joseph R. (2000). "Uses of Nickel". ASM Specialty Handbook: Nickel, Cobalt, and Their Alloys. ASM International. pp. 7–13. ISBN 978-0-87170-685-0. ↑ Kharton, Vladislav V. (2011). Solid State Electrochemistry II: Electrodes, Interfaces and Ceramic Membranes. Wiley-VCH. pp. 166–. ISBN 978-3-527-32638-9. ↑ Bidault, F.; Brett, D. J. L.; Middleton, P. H.; Brandon, N. P. "A New Cathode Design for Alkaline Fuel Cells (AFCs)" (PDF). Imperial College London. Archived from the original (PDF) on 2011-07-20. ↑ Magnetostrictive Materials Overview. University of California, Los Angeles. ↑ Angara, Raghavendra (2009). High Frequency High Amplitude Magnetic Field Driving System for Magnetostrictive Actuators. Umi Dissertation Publishing. p. 5. ISBN 9781109187533. ↑ Cheburaeva, R. F.; Chaporova, I. N.; Krasina, T. I. (1992). "Structure and properties of tungsten carbide hard alloys with an alloyed nickel binder". Soviet Powder Metallurgy and Metal Ceramics. 31 (5): 423–425. doi:10.1007/BF00796252. ↑ "Krytron Pulse Power Switching Tubes". Silicon Investigations. 2011. 1 2 3 Astrid Sigel; Helmut Sigel; Roland K. O. Sigel, eds. (2008). Nickel and Its Surprising Impact in Nature. Metal Ions in Life Sciences. 2. Wiley. ISBN 978-0-470-01671-8. 1 2 3 Sydor, Andrew; Zamble, Deborah (2013). Banci, Lucia, ed. Nickel Metallomics: General Themes Guiding Nickel Homeostasis. Dordrecht: Springer. pp. 375–416. ISBN 978-94-007-5561-1. ↑ Zamble, Deborah; Rowińska-Żyrek, Magdalena; Kozlowski, Henryk (2017). The Biological Chemistry of Nickel. Royal Society of Chemistry. ISBN 978-1-78262-498-1. ↑ Covacci, Antonello; Telford, John L.; Giudice, Giuseppe Del; Parsonnet, Julie; Rappuoli, Rino (1999-05-21). "Helicobacter pylori Virulence and Genetic Geography". Science. 284 (5418): 1328–1333. Bibcode:1999Sci...284.1328C. doi:10.1126/science.284.5418.1328. PMID 10334982. ↑ Cox, Gary M.; Mukherjee, Jean; Cole, Garry T.; Casadevall, Arturo; Perfect, John R. (2000-02-01). "Urease as a Virulence Factor in Experimental Cryptococcosis". Infection and Immunity. 68 (2): 443–448. doi:10.1128/IAI.68.2.443-448.2000. PMC 97161 . PMID 10639402. ↑ Stephen W., Ragdale (2014). "Chapter 6. Biochemistry of Methyl-Coenzyme M Reductase: The Nickel Metalloenzyme that Catalyzes the Final Step in Synthesis and the First Step in Anaerobic Oxidation of the Greenhouse Gas Methane". In Peter M.H. Kroneck; Martha E. Sosa Torres. The Metal-Driven Biogeochemistry of Gaseous Compounds in the Environment. Metal Ions in Life Sciences. 14. Springer. pp. 125–145. doi:10.1007/978-94-017-9269-1_6. ISBN 978-94-017-9268-4. PMID 25416393. ↑ Wang, Vincent C.-C.; Ragsdale, Stephen W.; Armstrong, Fraser A. (2014). "Chapter 4. Investigations of the Efficient Electrocatalytic Interconversions of Carbon Dioxide and Carbon Monoxide by Nickel-Containing Carbon Monoxide Dehydrogenases". In Peter M.H. Kroneck; Martha E. Sosa Torres. The Metal-Driven Biogeochemistry of Gaseous Compounds in the Environment. Metal Ions in Life Sciences. 14. Springer. pp. 71–97. doi:10.1007/978-94-017-9269-1_4. ISBN 978-94-017-9268-4. PMC 4261625 . PMID 25416391. ↑ Szilagyi, R. K.; Bryngelson, P. A.; Maroney, M. J.; Hedman, B.; et al. (2004). "S K-Edge X-ray Absorption Spectroscopic Investigation of the Ni-Containing Superoxide Dismutase Active Site: New Structural Insight into the Mechanism". Journal of the American Chemical Society. 126 (10): 3018–3019. doi:10.1021/ja039106v. PMID 15012109. ↑ Greig N; Wyllie S; Vickers TJ; Fairlamb AH (2006). "Trypanothione-dependent glyoxalase I in Trypanosoma cruzi". Biochemical Journal. 400 (2): 217–23. doi:10.1042/BJ20060882. PMC 1652828 . PMID 16958620. ↑ Aronsson A-C; Marmstål E; Mannervik B (1978). "Glyoxalase I, a zinc metalloenzyme of mammals and yeast". Biochemical and Biophysical Research Communications. 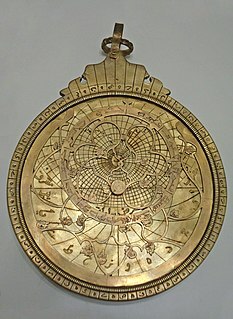 81 (4): 1235–1240. doi:10.1016/0006-291X(78)91268-8. PMID 352355. ↑ Ridderström M; Mannervik B (1996). "Optimized heterologous expression of the human zinc enzyme glyoxalase I". Biochemical Journal. 314 (Pt 2): 463–467. doi:10.1042/bj3140463. PMC 1217073 . PMID 8670058. ↑ Saint-Jean AP; Phillips KR; Creighton DJ; Stone MJ (1998). "Active monomeric and dimeric forms of Pseudomonas putida glyoxalase I: evidence for 3D domain swapping". Biochemistry. 37 (29): 10345–10353. doi:10.1021/bi980868q. PMID 9671502. ↑ Thornalley, P. J. (2003). "Glyoxalase I—structure, function and a critical role in the enzymatic defence against glycation". Biochemical Society Transactions. 31 (Pt 6): 1343–1348. doi:10.1042/BST0311343. PMID 14641060. ↑ Vander Jagt DL (1989). "Unknown chapter title". In D Dolphin; R Poulson; O Avramovic. Coenzymes and Cofactors VIII: Glutathione Part A. New York: John Wiley and Sons. ↑ Zambelli, Barbara; Ciurli, Stefano (2013). "Chapter 10. Nickel: and Human Health". In Astrid Sigel; Helmut Sigel; Roland K. O. Sigel. Interrelations between Essential Metal Ions and Human Diseases. Metal Ions in Life Sciences. 13. Springer. pp. 321–357. doi:10.1007/978-94-007-7500-8_10. ISBN 978-94-007-7499-5. PMID 24470096. ↑ Nickel. IN: Dietary Reference Intakes for Vitamin A, Vitamin K, Arsenic, Boron, Chromium, Copper, Iodine, Iron, Manganese, Molybdenum, Nickel, Silicon, Vanadium, and Copper. National Academy Press. 2001, PP. 521–529. ↑ Kamerud KL; Hobbie KA; Anderson KA (August 28, 2013). "Stainless Steel Leaches Nickel and Chromium into Foods During Cooking". Journal of Agricultural and Food Chemistry. 61 (39): 9495–501. doi:10.1021/jf402400v. PMC 4284091 . PMID 23984718. ↑ Flint GN; Packirisamy S (1997). "Purity of food cooked in stainless steel utensils". Food Additives & Contaminants. 14 (2): 115–26. doi:10.1080/02652039709374506. PMID 9102344. ↑ Schirber, Michael (July 27, 2014). "Microbe's Innovation May Have Started Largest Extinction Event on Earth". Space.com. Astrobiology Magazine. .... That spike in nickel allowed methanogens to take off. ↑ "Nickel 357553". Sigma Aldrich. ↑ Haber, Lynne T; Bates, Hudson K; Allen, Bruce C; Vincent, Melissa J; Oller, Adriana R (2017). "Derivation of an oral toxicity reference value for nickel". Regulatory Toxicology and Pharmacology . 87: S1–S18. doi:10.1016/j.yrtph.2017.03.011. PMID 28300623. ↑ Butticè, Claudio (2015). "Nickel Compounds". In Colditz, Graham A. The SAGE Encyclopedia of Cancer and Society (Second ed.). Thousand Oaks: SAGE Publications, Inc. pp. 828–831. ISBN 9781483345734. 1 2 IARC (2012). “Nickel and nickel compounds” in IARC Monogr Eval Carcinog Risks Hum. Volume 100C. pp. 169–218..
1 2 Regulation (EC) No 1272/2008 of the European Parliament and of the Council of 16 December 2008 on Classification, Labelling and Packaging of Substances and Mixtures, Amending and Repealing Directives 67/548/EEC and 1999/45/EC and amending Regulation (EC) No 1907/2006 [OJ L 353, 31.12.2008, p. 1]. Annex VI. Accessed July 13, 2017. 1 2 Globally Harmonised System of Classification and Labelling of Chemicals (GHS), 5th ed., United Nations, New York and Geneva, 2013..
1 2 National Toxicology Program. (2016). “Report on Carcinogens”, 14th ed. Research Triangle Park, NC: U.S. Department of Health and Human Services, Public Health Service..
1 2 "Report of the International Committee on Nickel Carcinogenesis in Man". Scandinavian Journal of Work, Environment & Health. 16 (1 Spec No): 1–82. 1990. doi:10.5271/sjweh.1813. JSTOR 40965957. PMID 2185539. 1 2 "NTP Toxicology and Carcinogenesis Studies of Nickel Subsulfide (CAS No. 12035-72-2) in F344 Rats and B6C3F1 Mice (Inhalation Studies)". National Toxicology Program Technical Report Series. 453: 1–365. 1996. PMID 12594522. ↑ "NTP Toxicology and Carcinogenesis Studies of Nickel Oxide (CAS No. 1313-99-1) in F344 Rats and B6C3F1 Mice (Inhalation Studies)". National Toxicology Program Technical Report Series. 451: 1–381. 1996. PMID 12594524. ↑ Cogliano, V. J; Baan, R; Straif, K; Grosse, Y; Lauby-Secretan, B; El Ghissassi, F; Bouvard, V; Benbrahim-Tallaa, L; Guha, N; Freeman, C; Galichet, L; Wild, C. P (2011). "Preventable exposures associated with human cancers". JNCI Journal of the National Cancer Institute. 103 (24): 1827–39. doi:10.1093/jnci/djr483. PMC 3243677 . PMID 22158127. ↑ Heim, K. E; Bates, H. K; Rush, R. E; Oller, A. R (2007). "Oral carcinogenicity study with nickel sulfate hexahydrate in Fischer 344 rats". Toxicology and Applied Pharmacology. 224 (2): 126–37. doi:10.1016/j.taap.2007.06.024. PMID 17692353. 1 2 Oller, A. R; Kirkpatrick, D. T; Radovsky, A; Bates, H. K (2008). "Inhalation carcinogenicity study with nickel metal powder in Wistar rats". Toxicology and Applied Pharmacology. 233 (2): 262–75. doi:10.1016/j.taap.2008.08.017. PMID 18822311. ↑ "NTP Toxicology and Carcinogenesis Studies of Nickel Sulfate Hexahydrate (CAS No. 10101-97-0) in F344 Rats and B6C3F1 Mice (Inhalation Studies)". National Toxicology Program Technical Report Series. 454: 1–380. 1996. PMID 12587012. ↑ Springborn Laboratories Inc. (2000). “An Oral (Gavage) Two-generation Reproduction Toxicity Study in Sprague-Dawley Rats with Nickel Sulfate Hexahydrate.” Final Report. Springborn Laboratories Inc., Spencerville. SLI Study No. 3472.4. ↑ Vaktskjold, A; Talykova, L. V; Chashchin, V. P; Nieboer, E; Thomassen, Y; Odland, J. O (2006). "Genital malformations in newborns of female nickel-refinery workers". Scandinavian Journal of Work, Environment & Health. 32 (1): 41–50. doi:10.5271/sjweh.975. PMID 16539171. ↑ Vaktskjold, A; Talykova, L. V; Chashchin, V. P; Odland, Jon Ø; Nieboer, E (2008). "Spontaneous abortions among nickel-exposed female refinery workers". International Journal of Environmental Health Research. 18 (2): 99–115. doi:10.1080/09603120701498295. PMID 18365800. ↑ Vaktskjold, A; Talykova, L. V; Chashchin, V. P; Odland, J. O; Nieboer, E (2007). "Small-for-gestational-age newborns of female refinery workers exposed to nickel". International Journal of Occupational Medicine and Environmental Health. 20 (4): 327–38. doi:10.2478/v10001-007-0034-0. PMID 18165195. ↑ Vaktskjold, A; Talykova, L. V; Chashchin, V. P; Odland, J. O; Nieboer, E (2008). "Maternal nickel exposure and congenital musculoskeletal defects". American Journal of Industrial Medicine. 51 (11): 825–33. doi:10.1002/ajim.20609. PMID 18655106. ↑ "CDC – NIOSH Pocket Guide to Chemical Hazards – Nickel metal and other compounds (as Ni)". www.cdc.gov. Retrieved 2015-11-20. ↑ Stellman, Jeanne Mager (1998). Encyclopaedia of Occupational Health and Safety: Chemical, industries and occupations. International Labour Organization. pp. 133–. ISBN 978-92-2-109816-4 . Retrieved January 9, 2012. ↑ Barceloux, Donald G.; Barceloux, Donald (1999). "Nickel". Clinical Toxicology. 37 (2): 239–258. doi:10.1081/CLT-100102423. PMID 10382559. ↑ Thyssen J. P.; Linneberg A.; Menné T.; Johansen J. D. (2007). "The epidemiology of contact allergy in the general population—prevalence and main findings". Contact Dermatitis. 57 (5): 287–99. doi:10.1111/j.1600-0536.2007.01220.x. PMID 17937743. ↑ Nestle, O.; Speidel, H.; Speidel, M. O. (2002). "High nickel release from 1- and 2-euro coins". Nature. 419 (6903): 132. Bibcode:2002Natur.419..132N. doi:10.1038/419132a. PMID 12226655. ↑ Dow, Lea (June 3, 2008). "Nickel Named 2008 Contact Allergen of the Year". Nickel Allergy Information. Archived from the original on 2009-02-03. ↑ Salnikow, k.; Donald, S. P.; Bruick, R. K.; Zhitkovich, A.; et al. (September 2004). "Depletion of intracellular ascorbate by the carcinogenic metal nickel and cobalt results in the induction of hypoxic stress". Journal of Biological Chemistry. 279 (39): 40337–44. doi:10.1074/jbc.M403057200. PMID 15271983. ↑ Das, K. K.; Das, S. N.; Dhundasi, S. A. (2008). "Nickel, its adverse health effects and oxidative stress" (PDF). Indian Journal of Medical Research. 128 (4): 117–131. PMID 19106437 . Retrieved August 22, 2011. Wikimedia Commons has media related to Nickel .